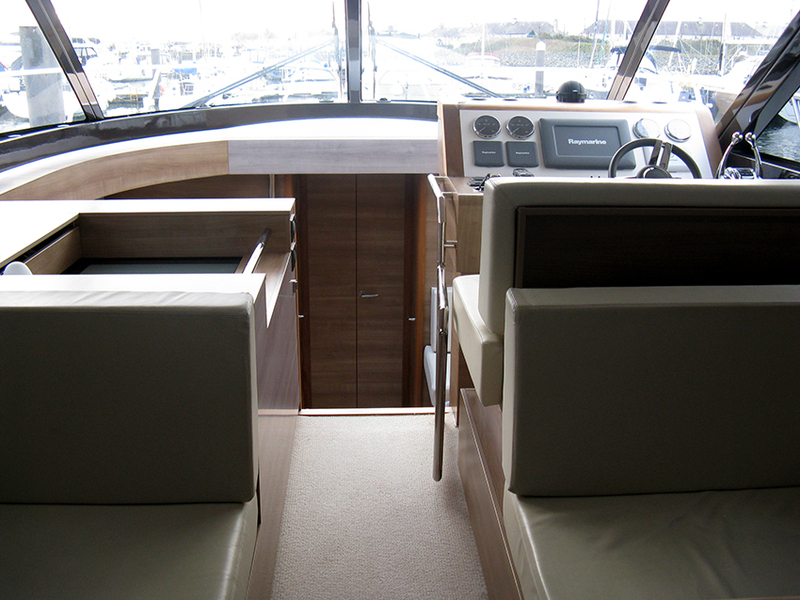 A superb example of the Sealine F46 luxury motor cruiser. 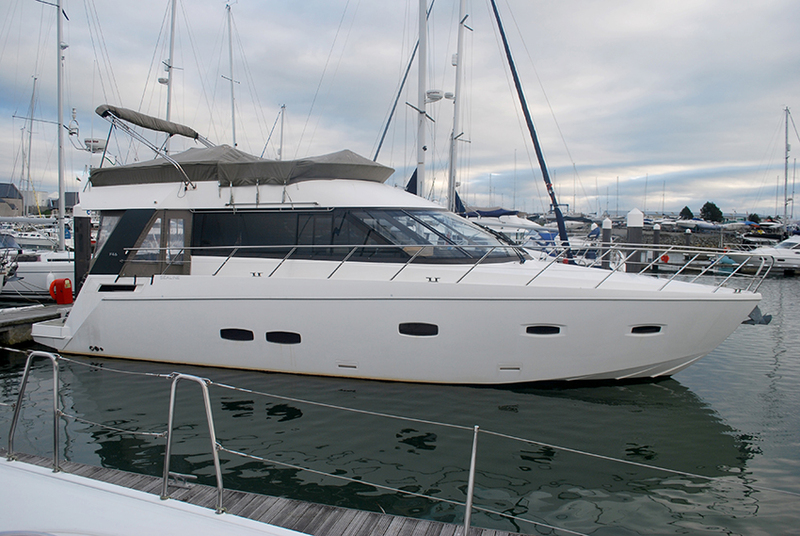 This 2011 Sealine F46 is presented in good condition having only had two owners from new and a regular maintenance schedule. 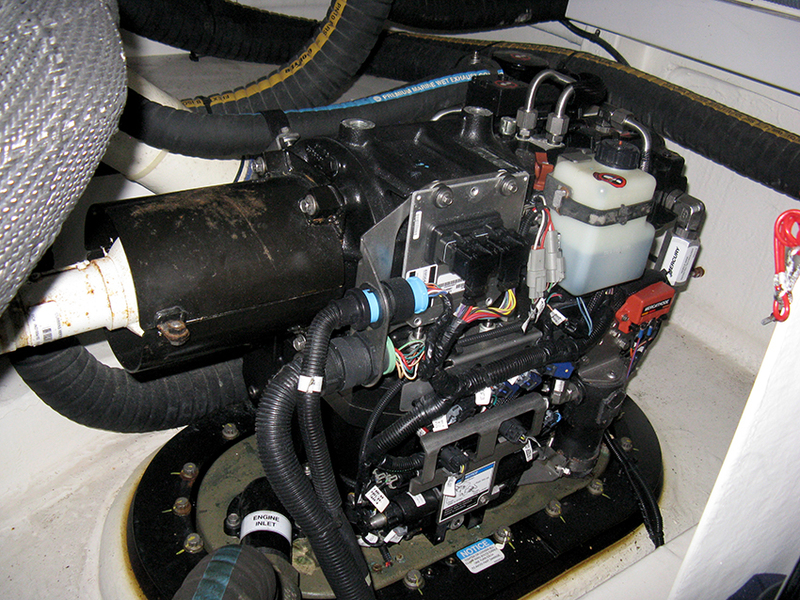 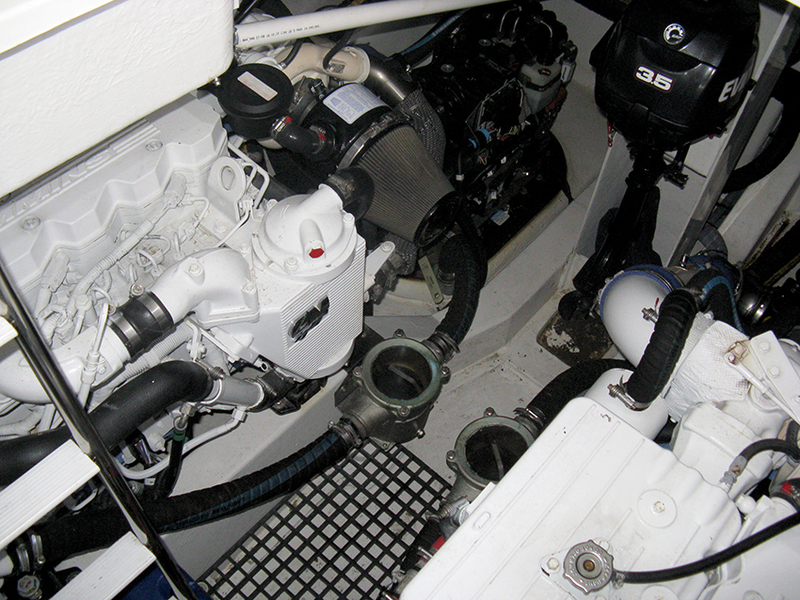 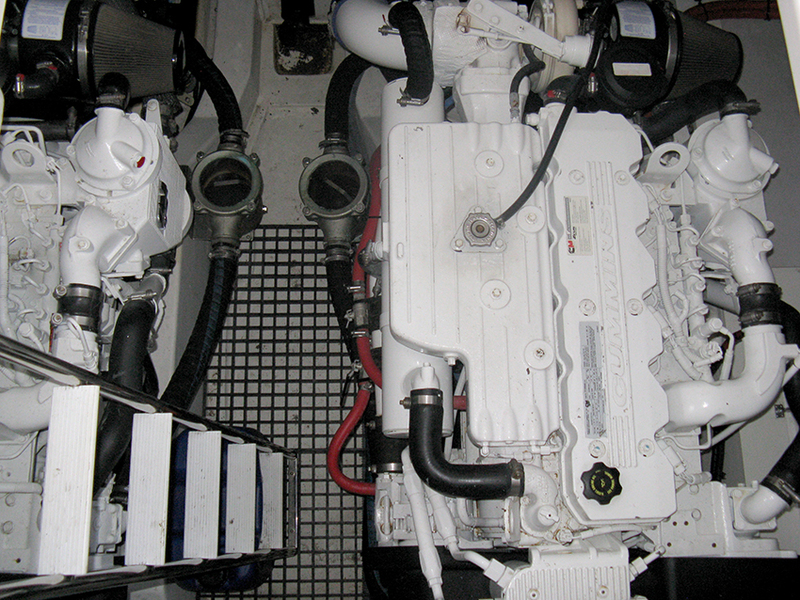 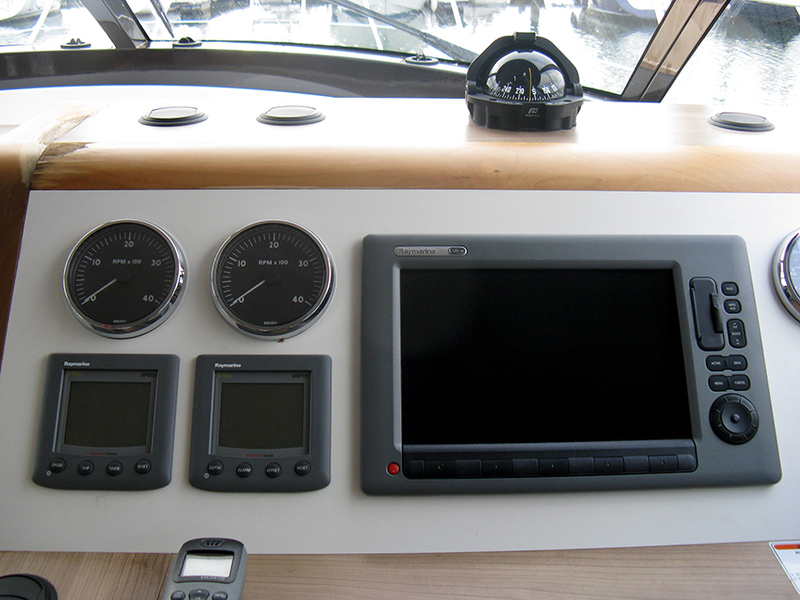 She is fitted with twin Cummins 480hp engines with Zeus joystick control and benefits from having been extremely well equipped from build (including Eberspacher heating, air conditioning, hydraulic passarelle, auto pilot, Raymarine VHF and chartplotter). 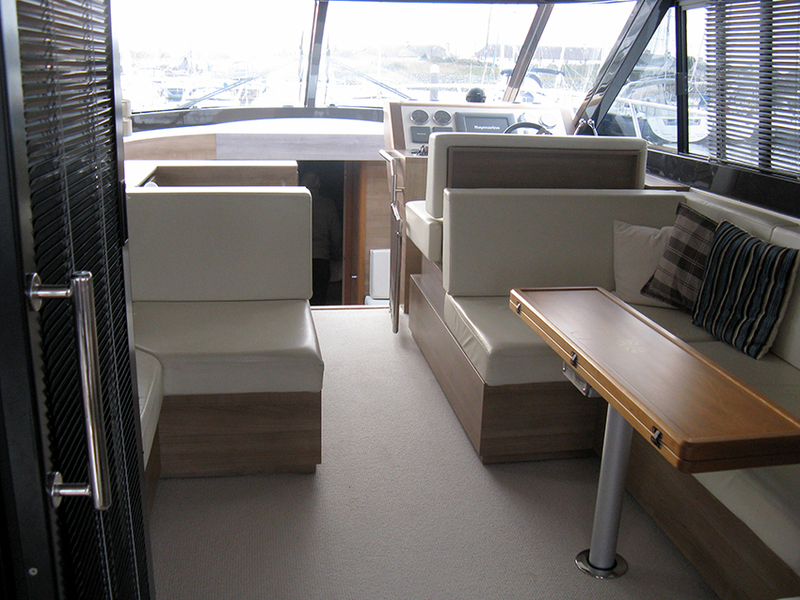 The layout of the Sealine F46 has been carefully considered and designed to maximise the use of space and light throughout the boat creating a very social and luxurious environment. 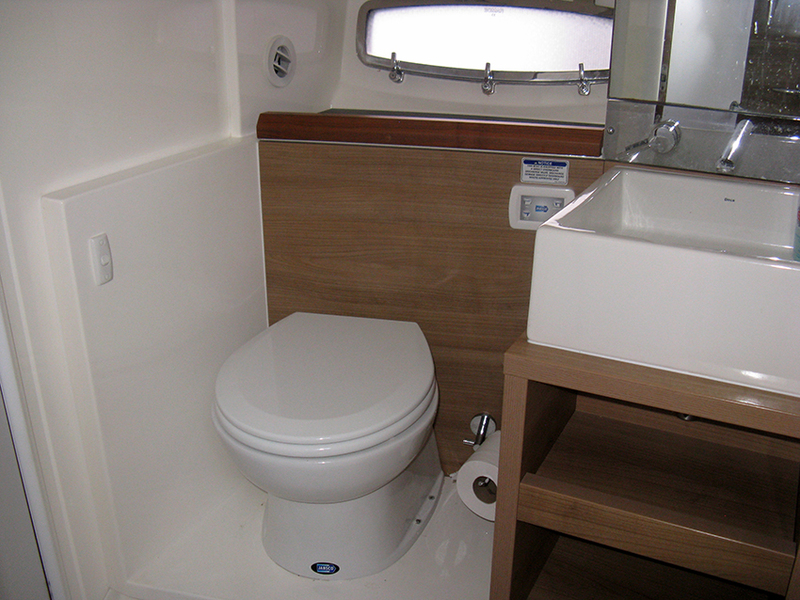 The Sealine F46 can accommodate up to seven guests in two cabins and occasional dinette conversion. 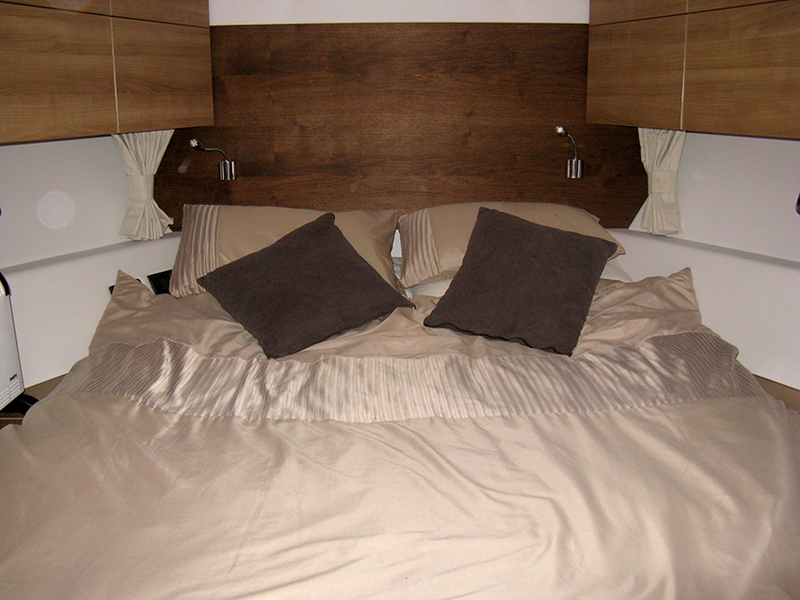 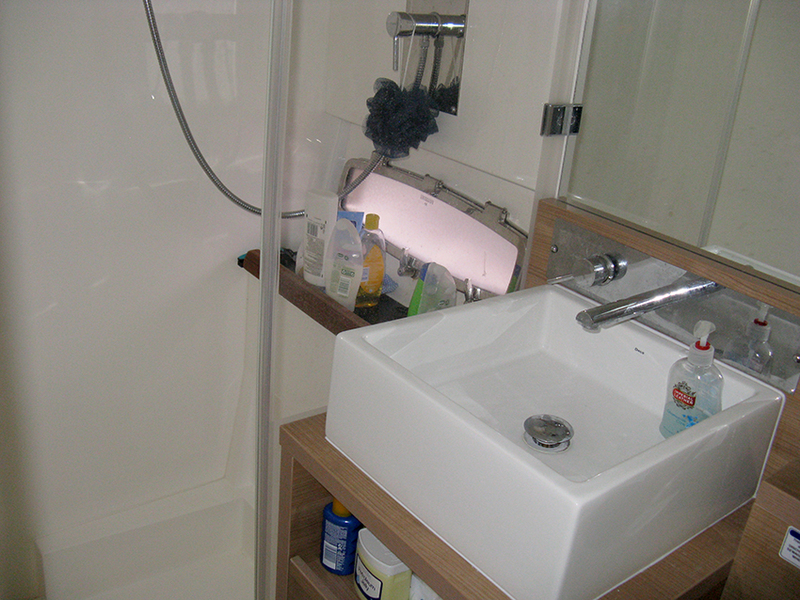 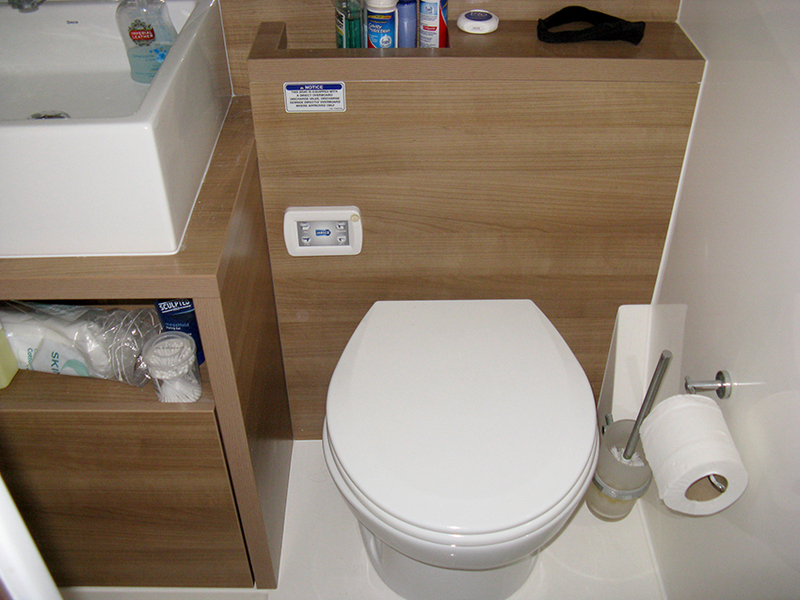 The master cabin is aft with a double bed, single bed and ensuite heads with separate shower. 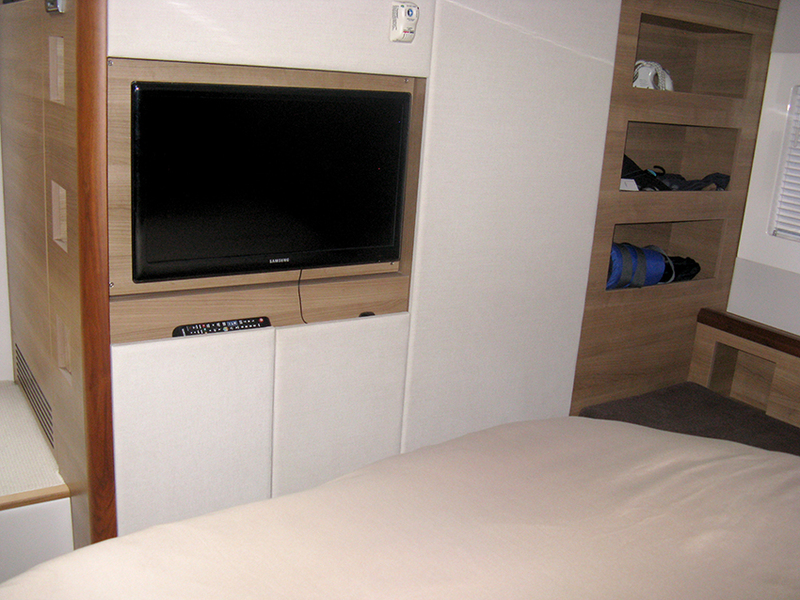 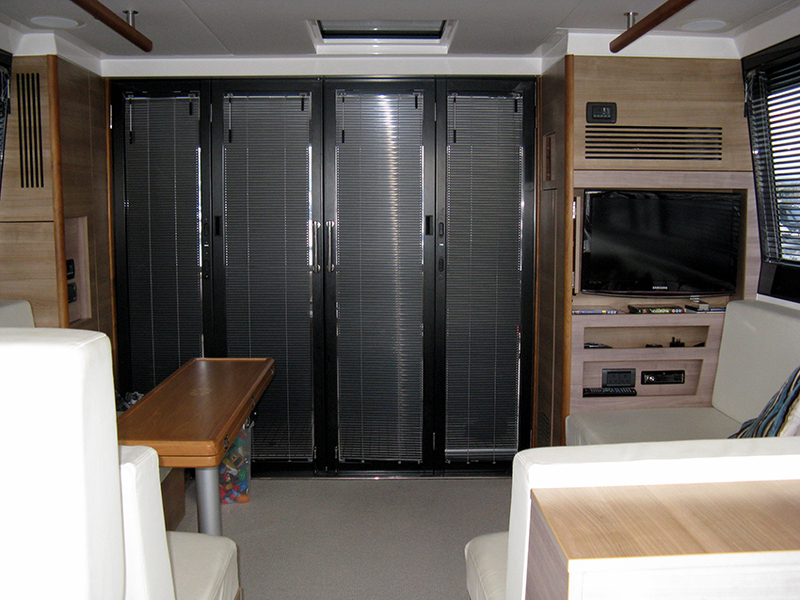 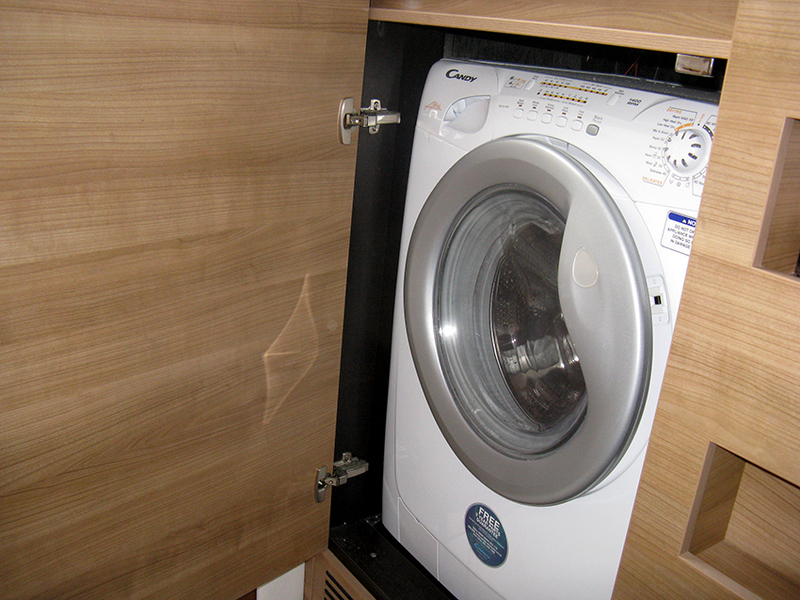 There is ample storage and a wall-mounted TV. 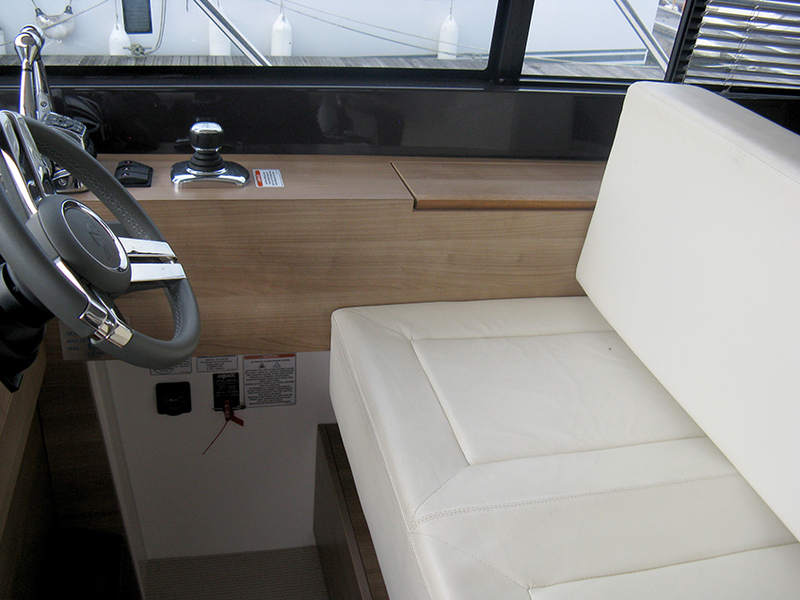 The second cabin is forward. 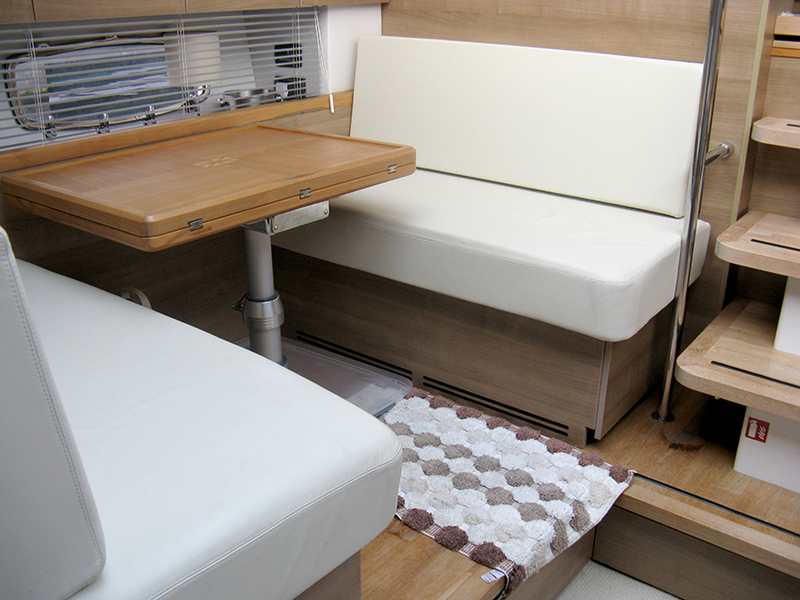 This too has a double bed and ensuite access to a shower room and separate heads (which can also be accessed via the galley). 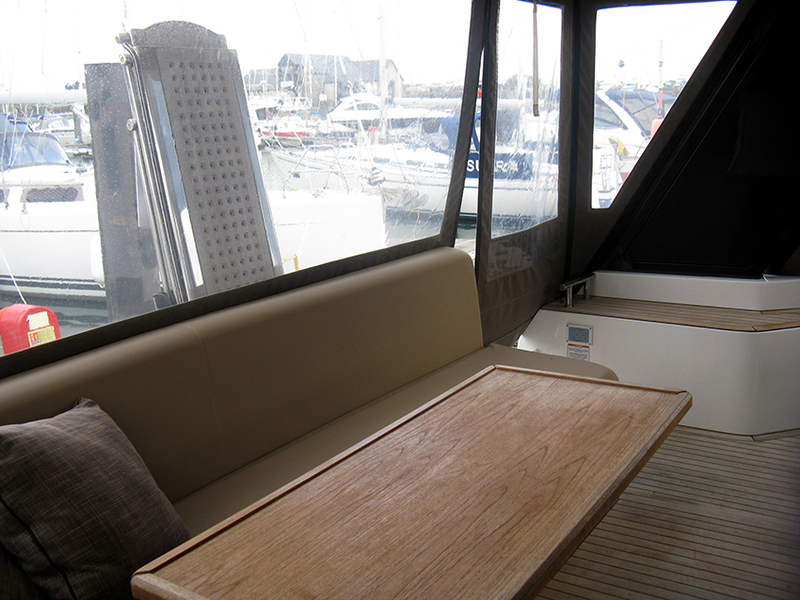 The main salon is a really social area and offers plenty of comfortable seating and entertainment area. 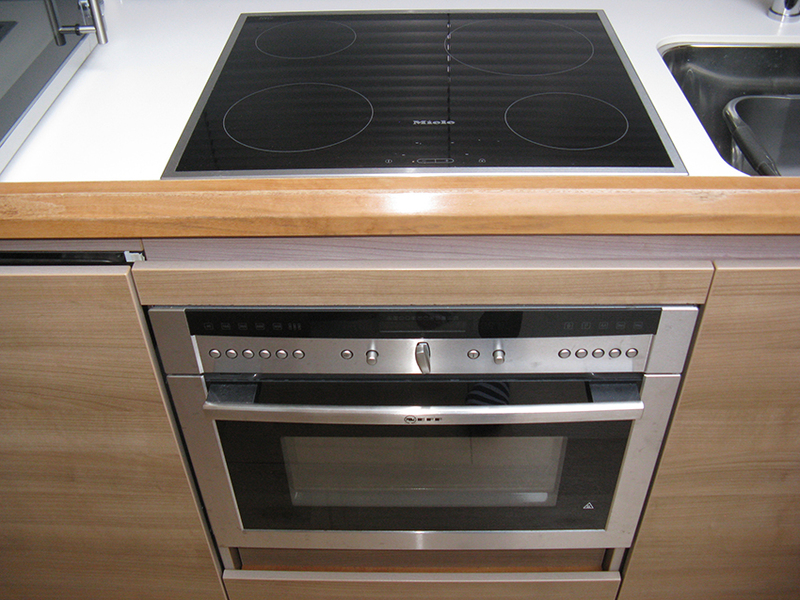 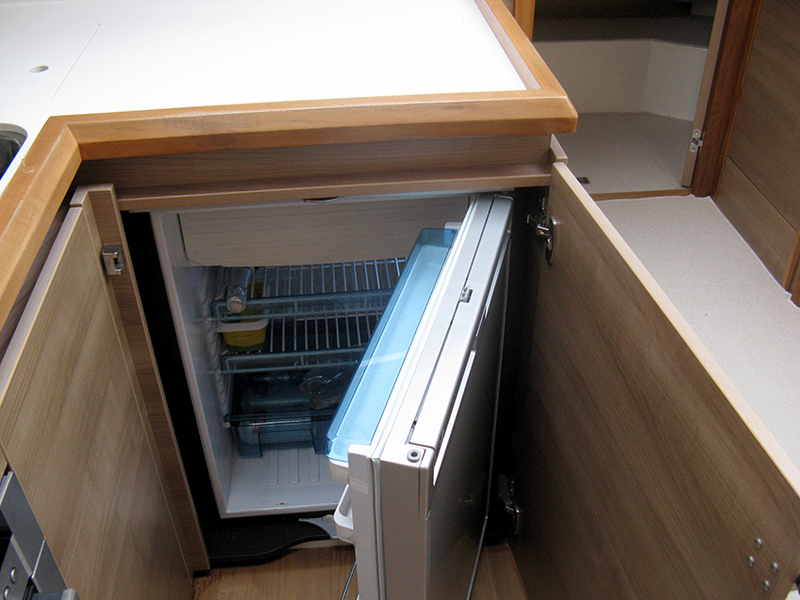 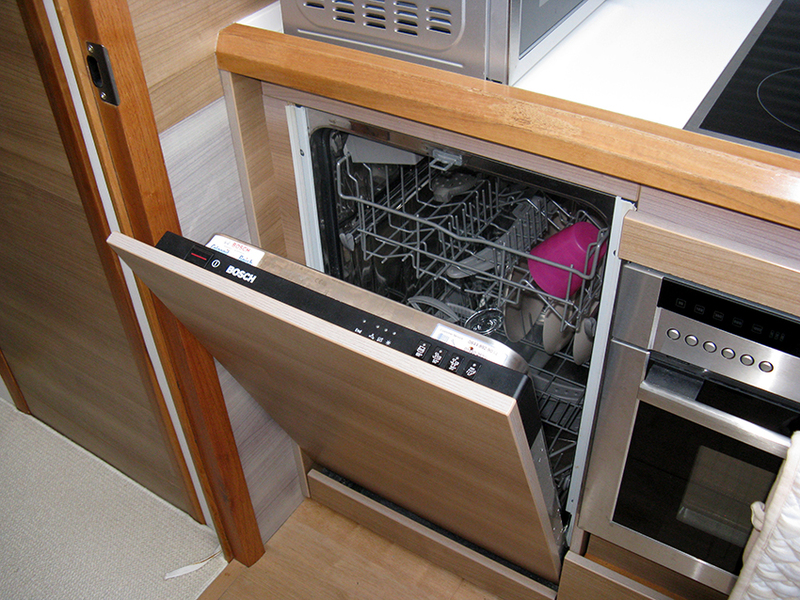 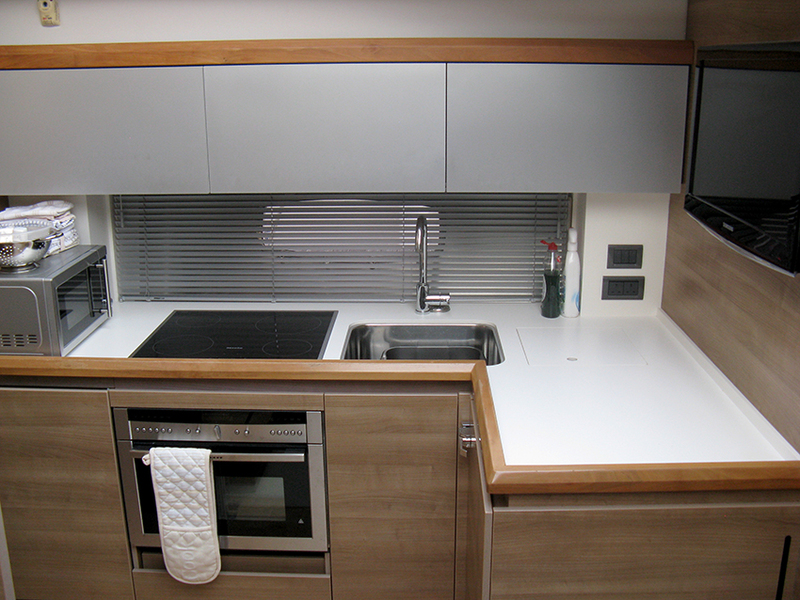 The galley has all the equipment you need to make this a fantastic boat on which to enjoy spending comfortable weekends onboard including oven, microwave, fridge/freezer and dishwasher. 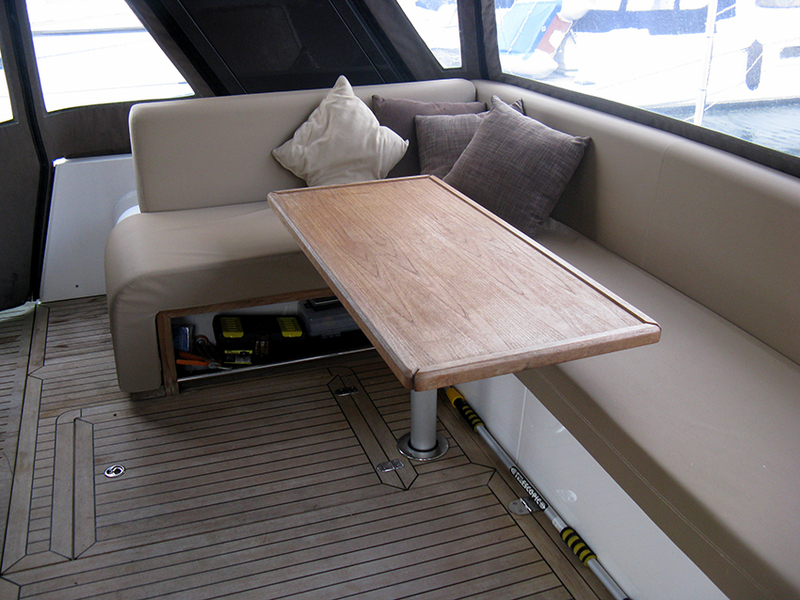 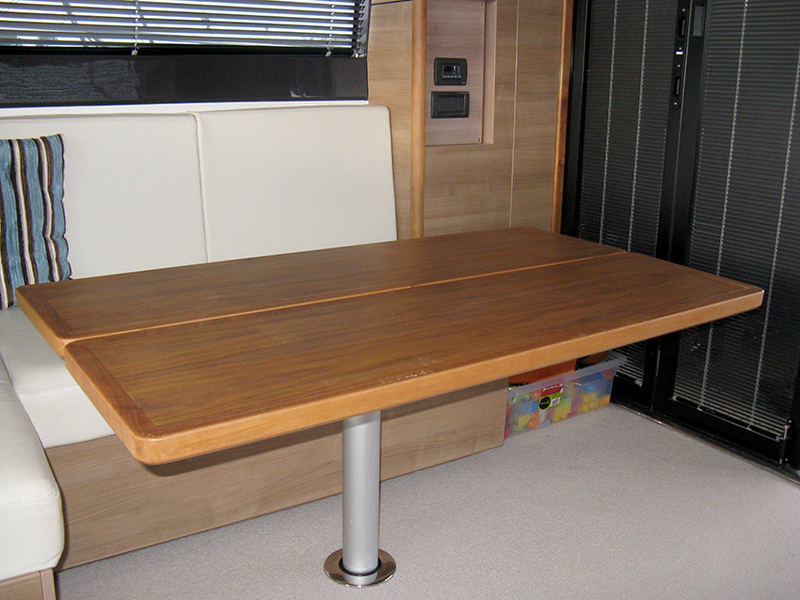 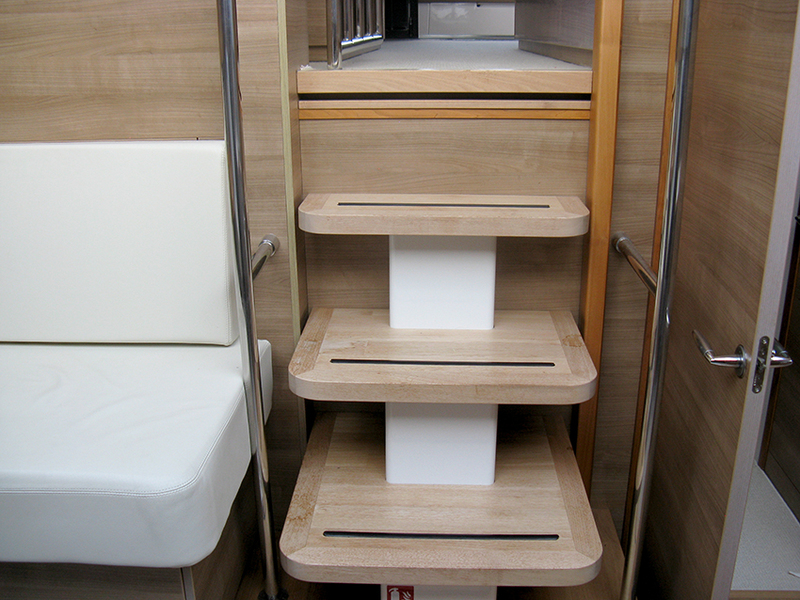 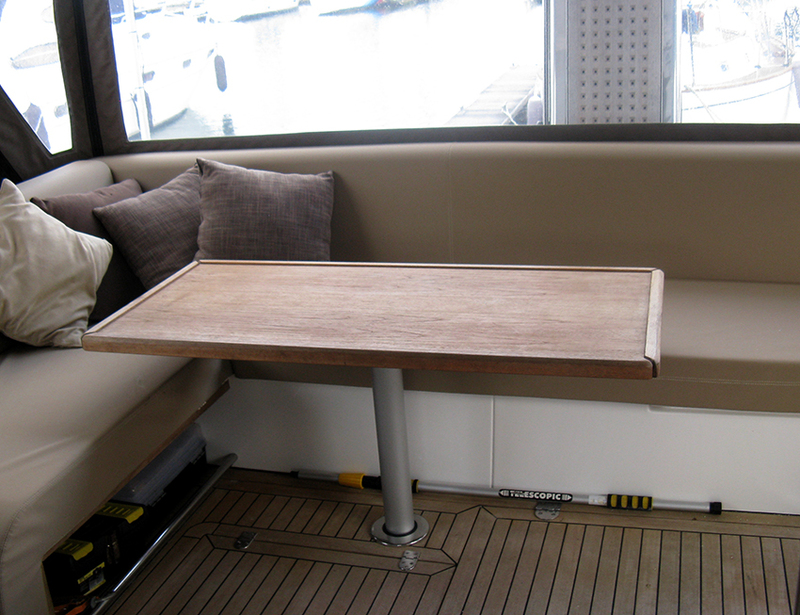 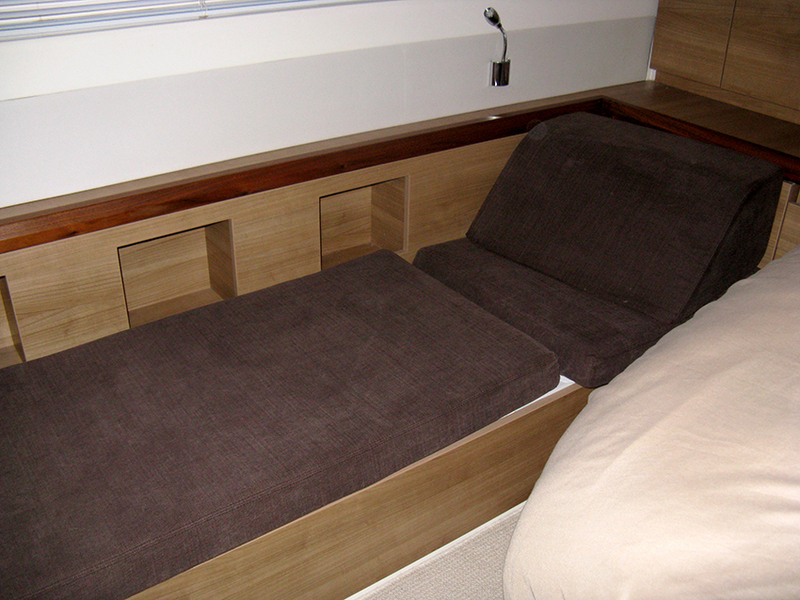 Opposite the galley is the U-shaped dinette (which converts to a double berth). 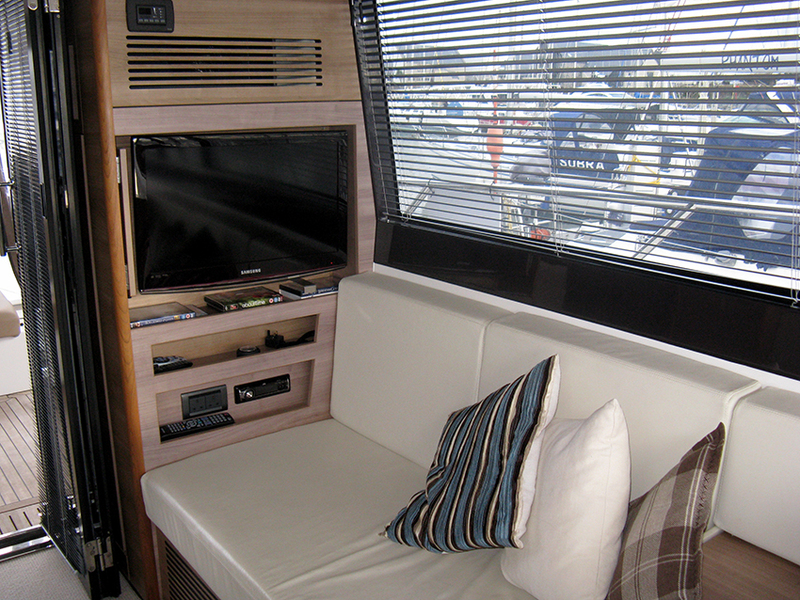 This Sealine F46 has a light and airy layout that provides a real sense of comfort and style. 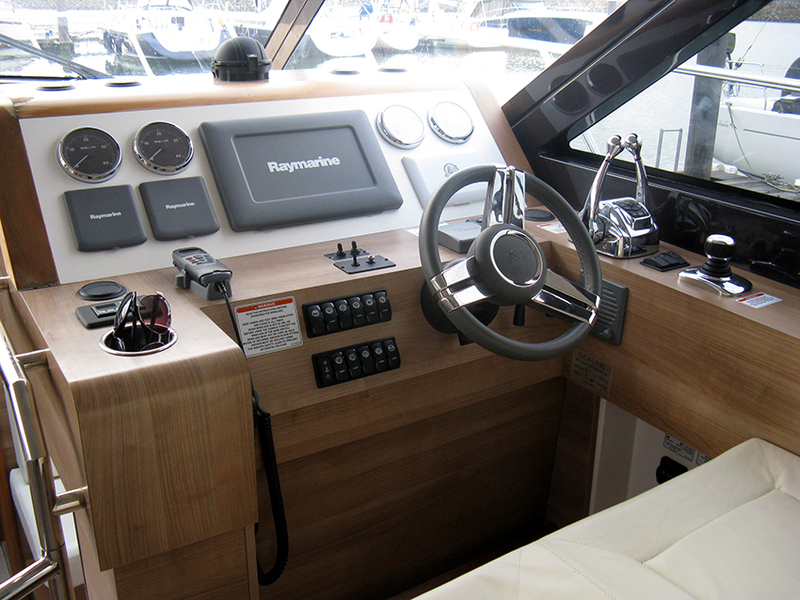 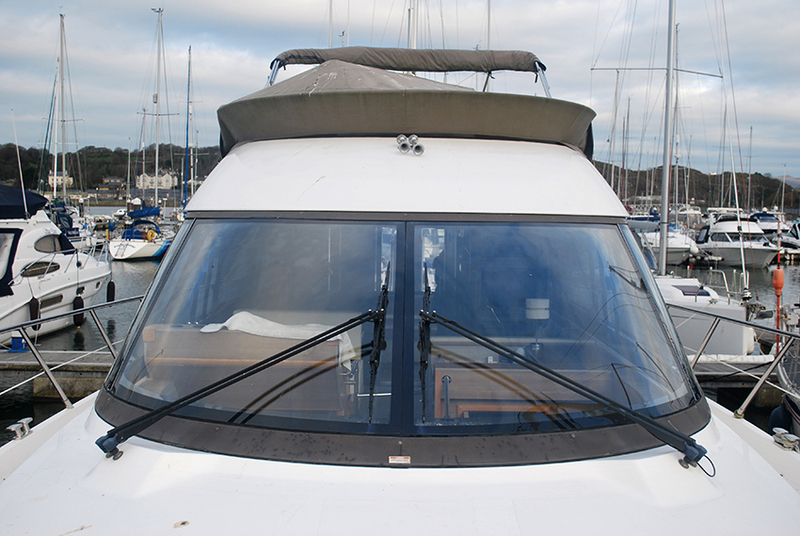 The cockpit and flybridge are both very social areas so whether you are enjoying entertaining family and friends or just relaxing with a spot of fishing, everyone will have their favourite place. 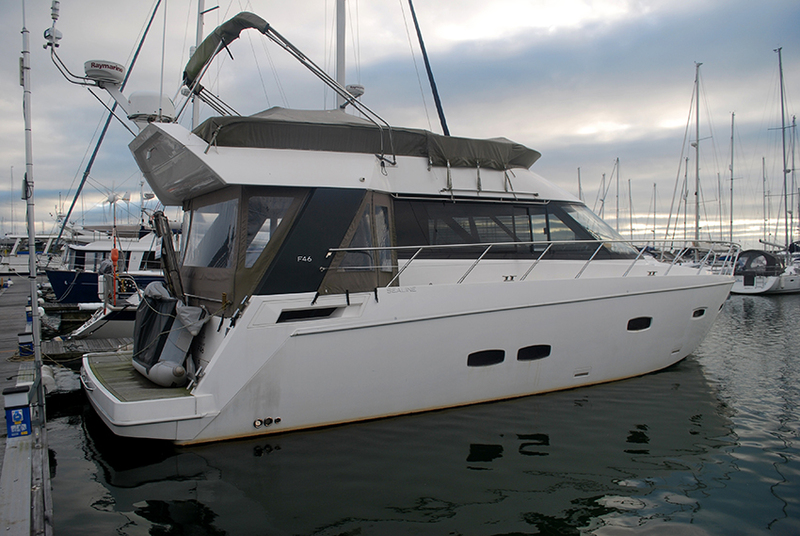 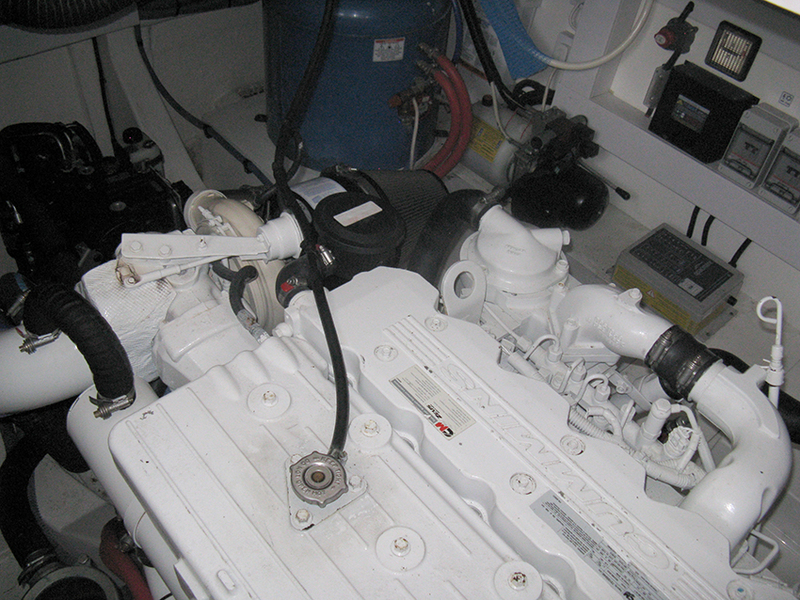 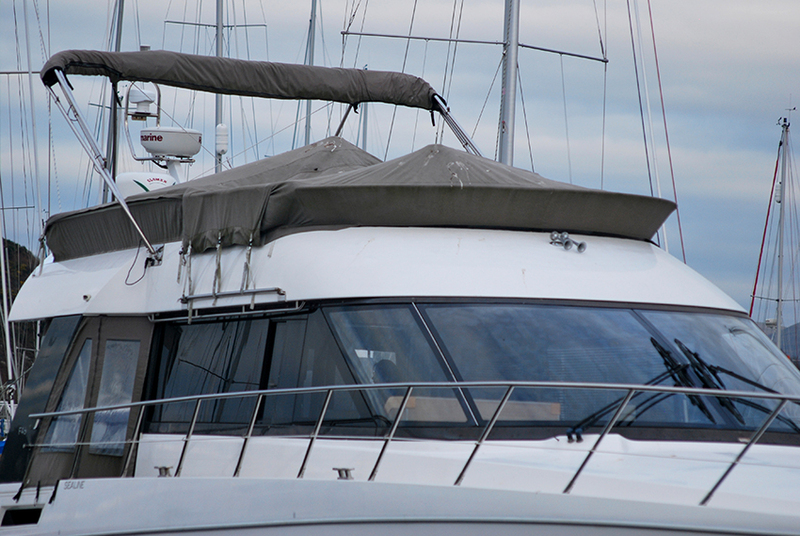 This Sealine F46 has been well looked after and maintained and is a great example of this popular motor cruiser. 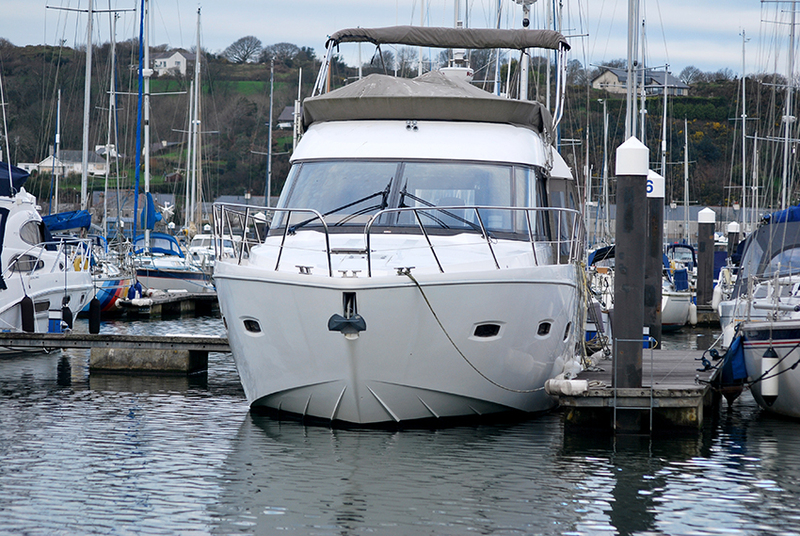 Harbour Marine Engineering Services in Pwllheli offer brokerage and new boat sales as well as full marine engineering services. 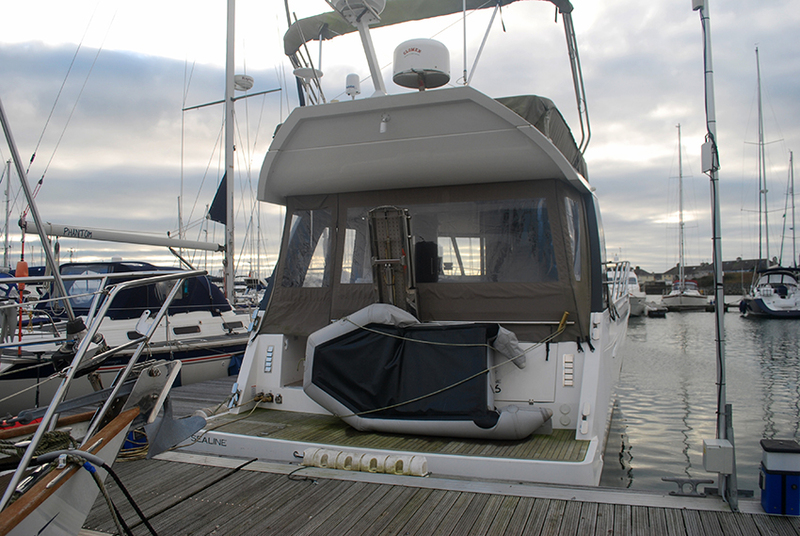 We are the authorised agent for GRAND RIBs and Admiral Pro Fish day fishing boats and are authorised agents for service, repair and sale of Suzuki, Mercury, Tohatsu and Mariner outboards as well as Mercury Mercruiser, Doosan, Beta Marine,Nanni and Yanmar inboard engines.